Currently i am serving as the 2nd counselor in the Relief Society presidency at my church and one of my main responsibilities is planning activities. (really out of my comfort zone i know :)) Last night we had a getting to know you ice cream social. You might remember the poster from THIS post. It was super fun. We had everyone who came bring 3 items/objects that represent themselves and then we played a guessing game to guess whose items belonged to who, then each person revealed their items and talked about why they brought each thing. It was a great way to get to know everyone. 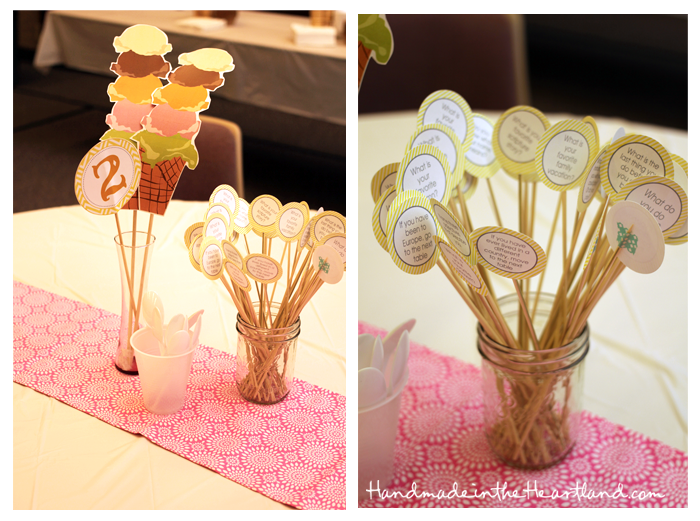 Also when everyone came in we had them put a name tag on and choose a table number and that determined where they would sit, i used a lot of the printables from THIS printable pack from Sugar tot designs. It was so nice to not have to design everything myself- why re-invent the wheel when its already been done? right?! I especially loved the conversation circles- i had a set on each table to get conversation going and help everyone get to know each other better. I made fabric bunting to put behind the food tables – i’ll have a tutorial on Monday for that so come back to see, and fabric runners. I think the bunting really added a lot to the plain cultural hall that we use for activities. We used muffin tins for the ice cream toppings and i used my ice cream image that i drew in illustrator for the table centerpieces along with the table numbers from sugar tot designs. 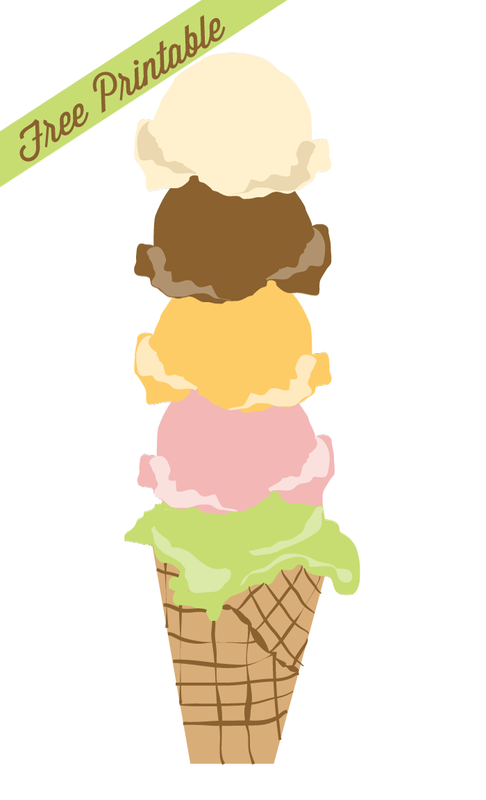 You can download my ice cream centerpiece for free below! 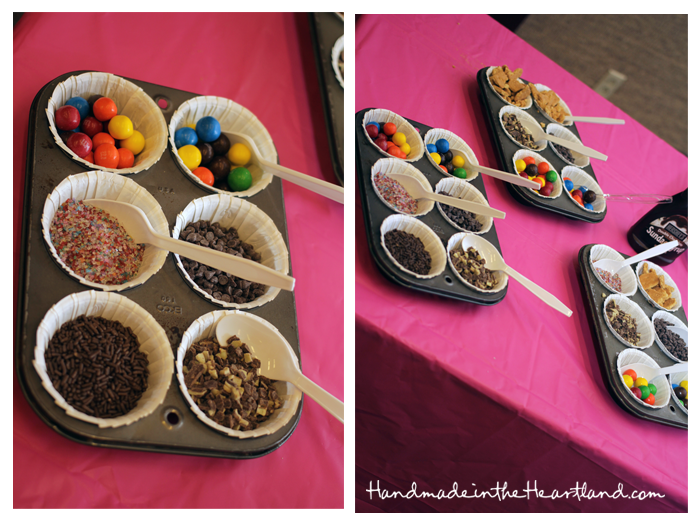 Happy National Ice Cream Month- i hope this inspires you to have your own ice cream social!